Post Sale Update: After 30 bids on eBay, this TDR sold for $5,995. 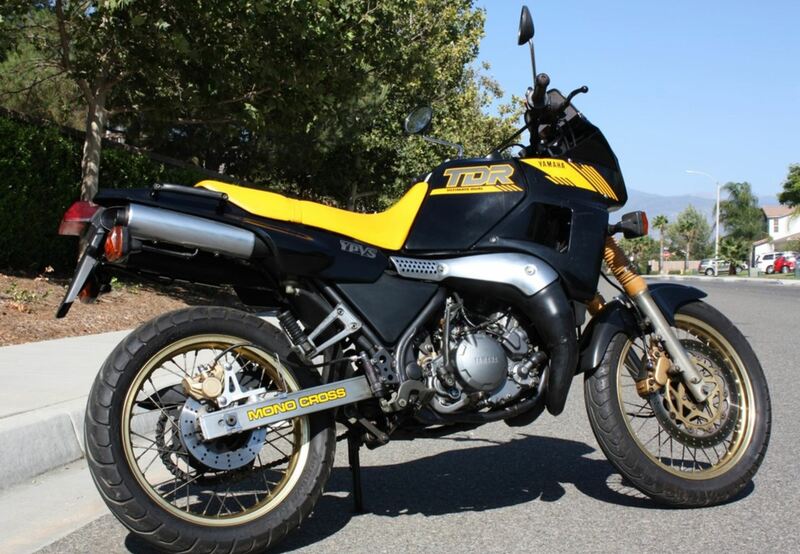 Consider that this nearly 30 year old bike makes 13 horsepower more than a new KLR, yet it weighs 92 pounds less! If that wasn’t good enough, check out this article on ADV Pulse for what else made the TDR special, including Yamaha’s assertion that the TDR’s engine was the first two-stroke motor to utilize both a CDI and an electronic advance system. This example has approximately 9,375 miles and it just got a full service which included fresh coolant, brake fluid, transmission fluid, and a carb cleaning. With the exception of braided brake lines, it’s said to be completely stock. 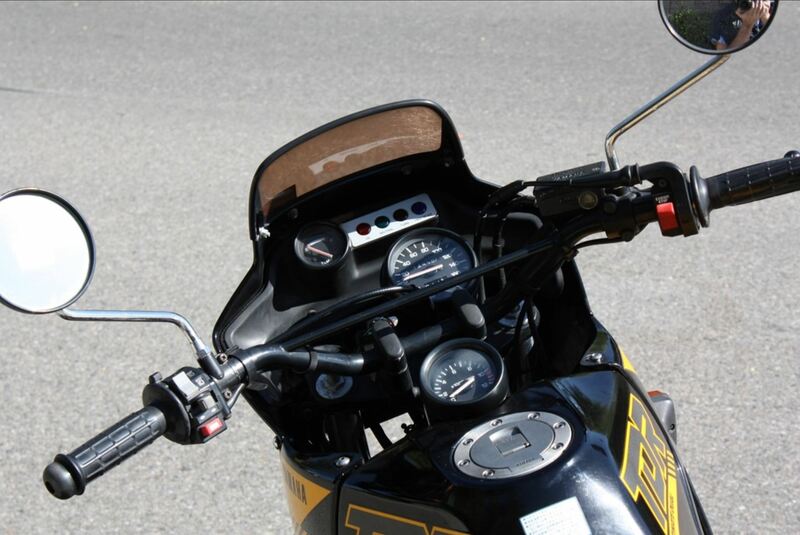 Flaws include some scratches on the left exhaust chamber as the bike was dropped on the left side in the past. The fork gaiters should be replaced and the seller suggests you should change out the tires, too. The seller has this bike listed for sale for $5,900, or you can try your luck with the no reserve auction linked below. For an extra $550, the seller will include a set of Noguchi expansion chambers if you’re really feeling frisky.